Date posted: April 8, 2015 by: JasonDarkX2 Category: Gaming 3 comments. 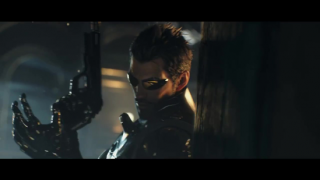 Earlier today Square Enix has released a new trailer officially announcing the next major installment of the Deus Ex series since 2011 Deus ex: Human Revolution. In Deus Ex: ManKind Divided you’ll reprise the role of Adman Jensen, who is now a counter terrorism agent playing by his own rules. The game takes place in 2029, two years after the events of Human Revolution and the infamous 'Aug Incident' in Panchaea, which ended the golden era of human augmentation. These terrible events scarred the world and caused augmented people to be segregated and deemed as outcasts. Wait, that’s not all, news is that game informer will be featuring this month’s coverage of Deus ex: mankind including detail about the game and interviews. Square Enix also released a mobile Deus ex lore app called Deus Ex universe for IOS and android. Well, I guess time for me to get a new pair of shades and start replaying all the Deus Ex games starting with the fall on PC ugh… Anyways who’s hyped and excited?